We are a bit behind on this blog. We have moved three times since the Lake Mead post, but a challenging couple of days dealing with The Big Kahuna combined with limited cell reception in Death Valley have worked against us. 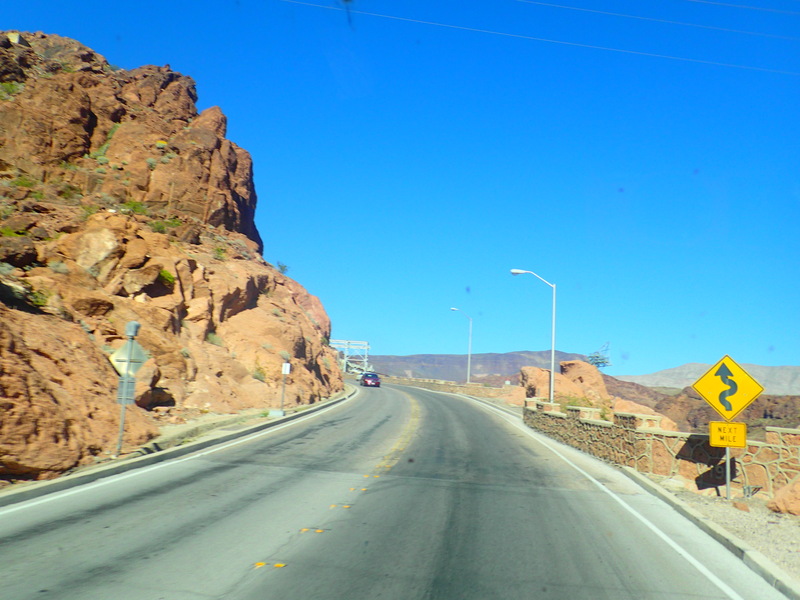 We departed Lake Mead mid morning a few days back, intending to take care of a few chores and errands before driving all the way to Death Valley across the Nevada-California border. We found a laundromat and managed to knock out several weeks worth of stuff in a couple of hours, then headed for the Hoover Dam for a look see, which turned into a much more, er, exciting drive than I had planned with steep downhills and twisty turns, but still nothing as bad as the Sedona incident. 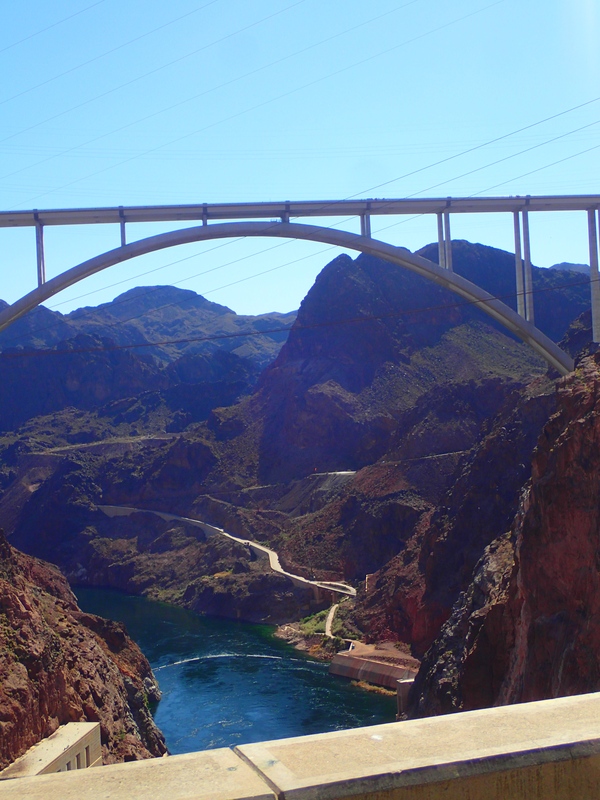 Hoover dam really is an impressive and beautiful structure, but given all the things we had to accomplish that day, we spent just a couple of hours driving down to it and across one way and then turning around back around for the return journey. By this time it was getting towards late afternoon and we still had several chores to knock out. We found a post office to mail out some ebay stuff (always clearing out…), a Camping World to return some unneeded items from our potable water pressurization repair, and about this time I noticed a significant binding in the steering, particularly during left turns. I found what I thought was the general area of a leak, consulted with one of the Camping World mechanics, managed to locate the well hidden relevant dip stick, and sure enough: almost empty. Fortunately this was a free temporary fix: it turns out that our power steering system uses the same automatic transmission fluid as our transmission, so I had over a gallon of the stuff available… of course I figured this out only after spending well over an hour in the Walmart parking lot pouring over the manuals and investigating via the internet. Fluid refilled, we headed down the road towards Death Valley, but by this time it was nearing dark so we only made it as far as Parhump, NV, a small town with a lot of casinos, perhaps because it is just across the CA-NV border? Given Kahuna’s rather paltry headlights and my aversion to driving him at night, we elected to stop for the evening and regroup. 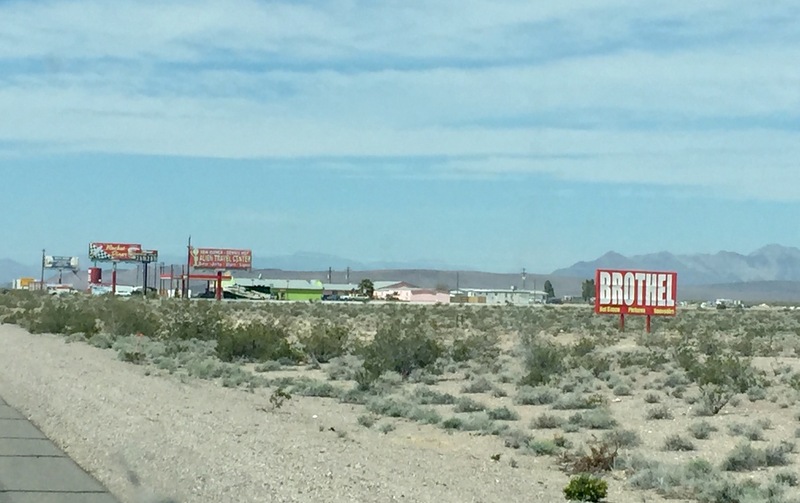 After a few false starts with an overpriced Best Western RV center, a full resort a few miles off the main route, and a few unanswered calls we stumbled upon the Saddle West Casino and RV Resort. Full hook ups for $25, a decent sized lot, typically shaky RV resort WiFi, and immaculate bath and shower facilities. After three days of boondocking, we needed the battery recharge, water fill and sewage dump, and relished a night with full services.